The article on iBusinessLogic.com/blog highlights the relatively flat traffic levels of two of the three sites, with etsy being the clear winner when looking at both growth and monthly visitors to the site. To be fair, Bonanzle has not been in the race long enough to be compared in this way (Bonanzle opened for business in June 2008) and Compete.com figures are not always considered the most accurate. The current climate of disruption at eBay makes it no surprise that competitors new and old have tried to seize the day by collecting as many of the fleeing sellers as possible for their own sites. Attracting sellers is certainly an important part of building a new online marketplace but it is only half of the battle. Every seller looking for a new venue is seeking buyers, any venue who can provide buyer traffic will have no trouble attracting eBay sellers. It is a catch 22 situation and it appears sites like Onlineauction.com are caught up in the vortex. Online Auction has a vibrant and engaged seller community yet the buyer traffic is slim, the same thing could be said for many other would be eBay heirs. eBay certainly has the traffic numbers (or had) to make almost any competitor short of Amazon seem almost a trivial pursuit. But how did eBay get to that point? 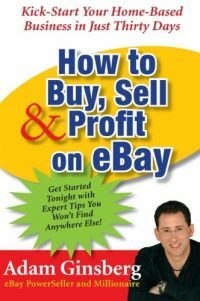 What was it that made eBay an almost overnight success and kept them on a steady growth curve for so long? 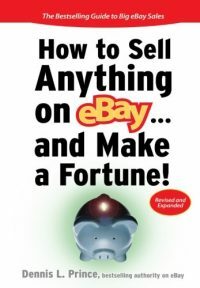 Lessons can be learned about the early success at eBay which today's new and fresh competition (like Bonanzle) should mimic to grow beyond current expectations. I think Bonanzle has attempted to mirror some of the early eBay elan' but are they there yet? Lets look at what eBay had going for them in the late 1990's. Admittedly some of these market factors could not be replicated now (no competition, barrier to entry for sellers elsewhere) yet some factors can be replicated by any of todays upstart eBay alternatives. eBay provided a community of buyers and sellers and promoted the one on one communications between these two groups. eBay no longer provides this social interaction, many alternative sites do - good job! eBay was the place to find the unusual, unique and outlandish - No longer the story at eBay. Some alternatives are working hard to fill this niche - Good Job! eBay was a fair playing field, designed to allow the small merchant or at home sellers the ability to have equal standing with huge retailers. - Not true any longer. A message more of the alternatives should trumpet, true in most cases on competetive sites however. Good Job! eBay opened up a Worldwide marketplace - Still true, to its detriment sometimes - Asian knock offs flooding categories and killing perceived value. eBay provided a searchable database of merchandise from around the world - Not always the best of search but early on it was the only search - now it is a broken search. Alternatives should focus on making sure search is always functional and easly to use. eBay brought buyers and traffic with partner relationships. The obvious early partners were Google and Yahoo. Yahoo is still with eBay, Google not so much. Alternative sites need to find ways to make sure they maintain a good relationship with Google - This is Crucual. eBay took advantage of mass marketing via affiliates through Commision Junction - now they have almost strangled the relationship they enjoyed for so long with affiliates with the switch to the eBay Partner Network. Point #8 is the genesis of this article and from what I can determine, outside of OnlineAuction.com's very basic and nearly unusable user affiliate program, no eBay alternative sites are utilizing the power of affiliate marketing. Effective Affiliate marketing can propel any website to the top of the leaderboard in traffic from buyers in a matter of mere months. Utilized in the right way an affiliate program will build any sites page rank and inbound links exponentially in a matter of weeks. eBay shared the wealth with affiliates and Google early on and it worked for them in a grand and glorious fashion. eBay affiliates are a major reason why the company enjoyed success for so long. With thousands of small sites all feeding traffic in varying amounts to the mothership of eBay. The steady and meteoric growth of eBay was assured. Every river has its tributaries and if eBay is a river (sorry Amazon) then affiliates are its streams and creeks. Today, those streams have been choked with pollution in the form of EPN and they are seeking a new course. Which eBay competetor will give those affiliate streams a place to send the water? Excellant article once again, Scott! Businesses, whether large or small, just can’t promote enough! Dawdle (http://www.dawdle.com) runs affiliate programs – with full data feeds – through Google Affiliate Network (formerly Performics) and ShareASale. You can learn more at: http://www.dawdle.com/about/index.php/affiliates/ I don’t think Etsy or any other large marketplace runs an affiliate program through one of the big three (GAN/LS/CJ). We base our payouts on the sale price of the item, not our fees, so affiliate publishers aren’t affected by whether or not the seller is at our standard 11.99% commission rate or at the volume commission rate we offer to large sellers ECMTA, IMA, or iDEA members. If affiliate publishers send us traffic, we treat them fairly regardless of who the seller is. Great post! I hope the alternative sites are all listening, and taking notes! All i know is that there are still not buyers or sellers on any of the other sites for what I sell. I’m happy for them that they are growing but, so far, none of them are doing me any good since no one is buying or selling what I sell on there. Awesome post, Scott, once I got to # 3 or so on your list CJ popped into the back of my head as hugely important and I was hoping you’d touch on it. Sure enough, saved the best for last. From what I know eBay’s affiliate ads were huge at the time and helped make the site viral. Would love to see Bonanzle head in this direction. For that matter I really hope eBay realizes that EPN should be as big a part of their future as well as their past (and stop messing with it!). Thank you Scott for another educational post, I have learned so much from you and continue to do so, much appreciated. While Bonanzle existed as a website in June, it did not ‘open for business’ in Beta and start recruiting sellers until mid July. Bonanzle announced the end of Beta September 3rd, 47 days or 6-1/2 weeks ago. A simple analogy would be that the smart shop owner does not open the doors for buyers and have a grand opening until all the merchandise is in and displayed. In today’s economy, and given the technical challenge & expense of keeping up with the existing enormous increases in organically generated traffic, I believe Bonanzle has chosen the wise route developmentally. By growing steadily and spending resources on platform stability and technical enhancements to improve speed and usability for both buyers and sellers, rather than traffic generation, Bonanzle does not risk the crash and burn outage and instability cycles that have plagued (and killed off) so many sales venues. Bonanzle has no desire to be yet another shaky second rate ‘eBay alternative’! Please note that this is opinion, I am not authorized to speak for the company in any way nor do I have any financial position in Bonanzle beyond being a satisfied user. I think your analysis is spot on as to the value of a well-designed affiliate program. Bonanzle will get there. When it comes time to try to implement an effective affiliate program, many sites get caught up in the first step — having the revenue stream available to fund such a program. Bonanzle has been amongst those sites so far, but with memberships and FVFs finally starting to percolate in October, we should soon have the financial flexibility to get past step one. The other reason it hasn’t happened yet at Bonanzle is that, quite frankly, we haven’t wanted to grow any faster than we have. Growing by a factor of 3x monthly takes a tremendous amount of energy to keep the site stable as it scales. I suspect that in the months to come, as our growth levels out a bit more, it will leave us with the cycles we need to be able to exercise volition in choosing what to work on (rather than the current mandate to focus solely on keeping the site fast and stable in the face of the increasing traffic). Like Henrietta says, we have only been seriously growing for a couple/few months now. Great writeup, look forward to more in the future. Great Article. You are so right, traffic is king. So many sellers rely on eBay to do all of the heavy lifting and just drop customers off at sellers doorsteps. Sellers don’t treat eBay like a traditional business.. which requires marketing, which in turn drives traffic. Whether that’s customers to your brick and mortar or clicks from search results. A few years ago I began focusing my efforts on using off eBay strategies to drive traffic to my eBay listings and store, and supplemented that with Affiliate programs. I’ve been more than satisfied with results. 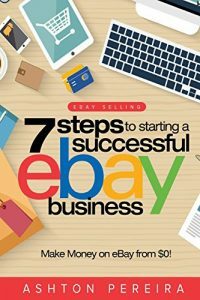 True, I could use those same techniques to send traffic to my own eCommerce site and save myself some fees, but I could never compete with the traffic that is already on eBay and that eBay generates from it’s pure presence. Either way, I’ve found that not only myself, but others I help sell have found using those same methods work well for them and have not been hurt as much. It doesn’t appear OLA or… Bill Harding/Founder of Bonanzle or… any of the others are in a position or gearing towards the direction to fill in the void or need for a Seller Site that Models itself the way eBay “use to be” that made it a successful avenue for so many years. Another Marketing problem I didn’t see touched upon is Brand or Website NAME. ebay.com <— very easy to remember. OnlineAuction.com <— Easy, but too long. OLA.COM <— Very Good! ;-) Now they NEED to Promote it! I can’t even pronounce it, let a lone remember and spell it. etsy.com <— What is this? Short, but doesn’t make sense. Anyway, doesn’t look like eBay will have a Challenger or significant Competition any time soon.